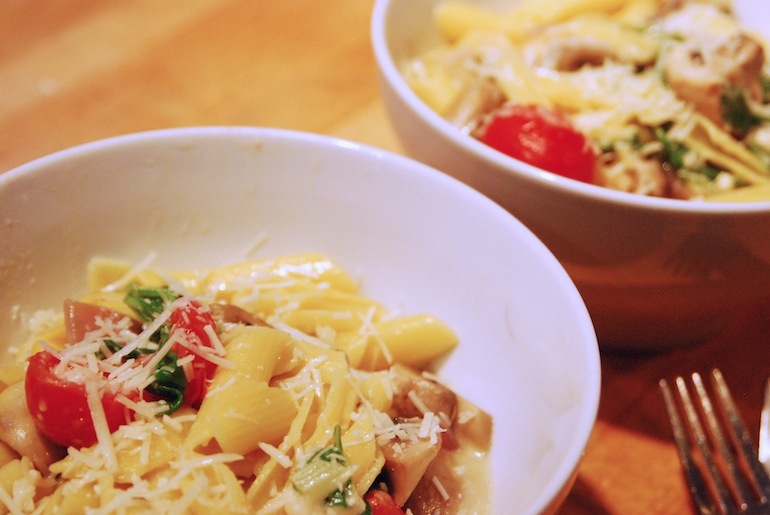 If you’re super lazy and love pasta, this meal is for you. 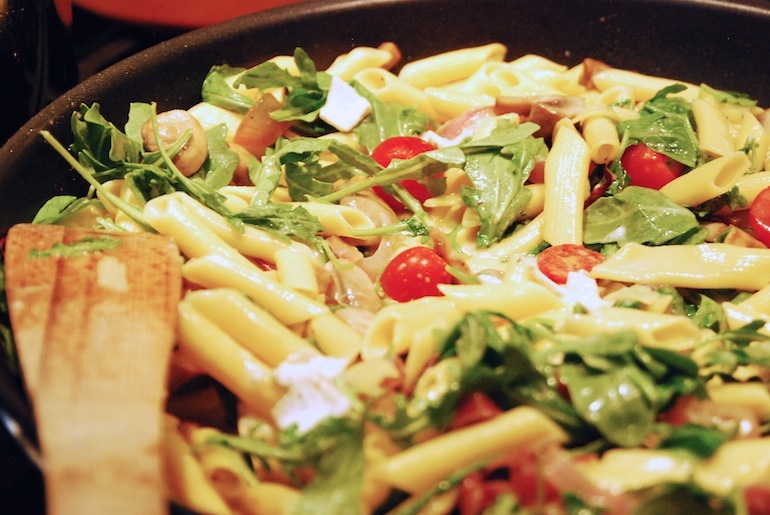 You get a salad, a healthy dose of veggies and creamy pasta all in one amazing dish. If you’re not down for the veggie meal, you can always add in sausage or bacon to get a little protein boost. Otherwise, this super simple meal is your ticket to impressing your friends and skipping out on meat for a night. It has enough flavor and volume to stand proudly on its own. 1. 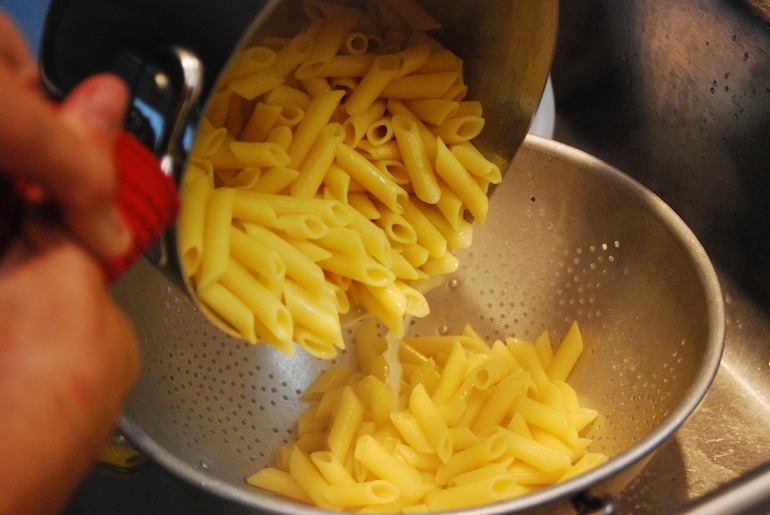 Cook the pasta according to the box and drain, but reserve ½ cup of the cooking water. 2. 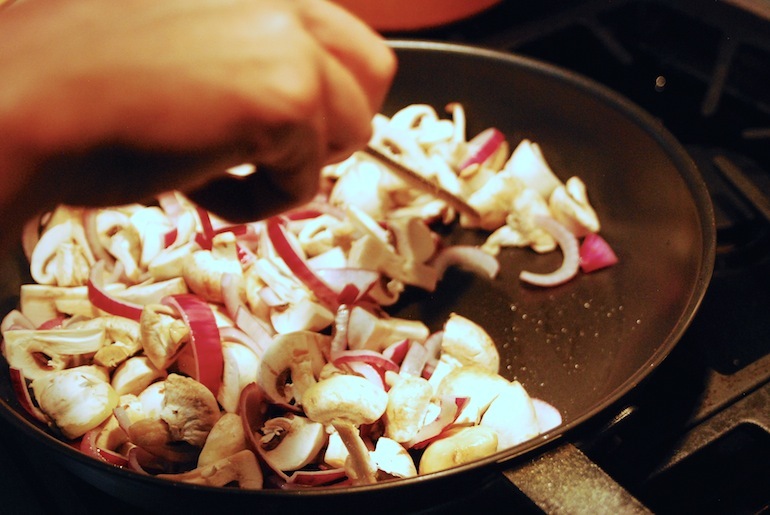 Cook mushrooms and onion in olive oil for 2 to 3 minutes in a large pan over medium-high heat. Add the wine, salt and pepper and cook for 5 to 6 minutes. 3. 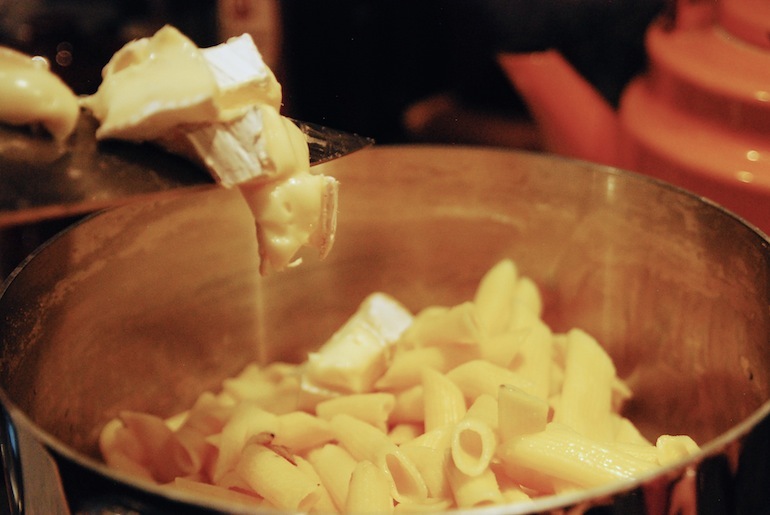 Toss the pasta with the Brie and cooking water and add mushroom mixture and arugula. Looking for more veggie noms?